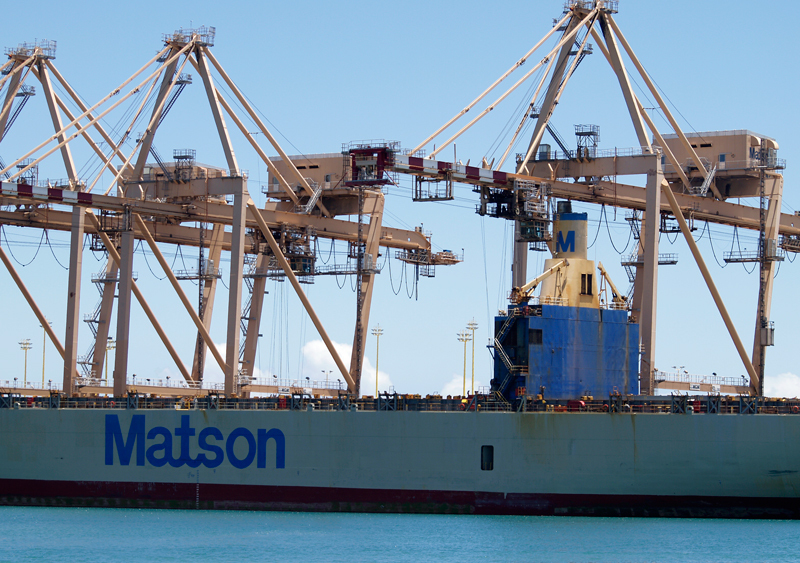 BY HAWAII REPUBLICAN ASSEMBLY – Matson is increasing its already high shipping rates yet again. We hear this same story so frequently that even those who truly understand the story and the related scam have become numb to its impact. HERE’S THE SCAM: Hawaii’s Democrat politicians deliberately increase the price of everything through a little known law known as The Jones Act, which is an out-dated, protectionist law from the early 20th century that prohibits global shipping competition. This causes artificially high prices because the entire cost of the inflated shipping is passed on to the consumer in the final price tag of all goods and services. Now, you would think that the hardworking, overtaxed and overcharged people of Hawaii deserve the absolute lowest prices on goods and services through vibrant global competition. However, Democrat politicians believe otherwise, and Matson wants to keep it that way. They use the Jones Act as an excuse to cover their price-fixing conspiracy. This forces Hawaii consumers into paying billions of dollars in higher prices. Fifth, come to HIRA’s next “Road Show” (and invite your friends, family and coworkers to this free event) to learn about the devastating effects of 60 Years of Harmful Policies from Hawaii’s Ruling Democrat Party and what you can do. Previous articleMinimum Wage Vote Today | Unconference Saturday | Ukulele Moves On | Djou In? Don't blame the Jones Act for Matson's monopoly. There are other US flagged shipping companies that would do business in Hawaii if it was profitable enough for them (Horizon, Crowely, Maersk Line). Foreign-flagged ships do call in Honolulu at the Duty-Free Exclusion zone where they off-load cargo for delivery to HI and rans-shipment to US ports. We need to ask ourselves: how does Matson maintain its monopoly on the Hawaii trade except though HI's politicians? What keeps the other US flagged ships from entering the HI trade? If the Jones Act exception were granted, what would HI's export be that would make it profitable for foreign-flagged ships to trade with us? Please note that so far all the articles I have read concerning the Jones Act address imports to HI; ships (i.e. : shipping companies) do not make a profit by only being loaded one-way. i really like the post. thanks for sharing it.